Partnership with EE Expands KORE Global Connect Device Connectivity Footprint in Europe, Africa and Middle East; Adds Voice Support to Meet Evolving M2M Needs. KORE, the world’s largest wireless services provider specializing in machine-to-machine (M2M) communications, today announced that network services from EE are now generally available to customers on the KORE M2M network, and fully supported on the KORE PRiSMPro™ platform. EE is the United Kingdom’s most advanced digital communications company, and instantly expands the reach and richness of KORE Global Connect™ services within Europe, Africa and the Middle East. The extended network footprint gives KORE customers a larger addressable market for M2M applications, without requiring the addition of new carrier relationships, contracts or integration activities. In addition, KORE now offers its customers a single price plan for worldwide coverage on the EE and EE partners’ networks, thus removing the complexity of tariff management due to cross-border roaming. In addition to full accessibility on the KORE PRiSMPro™ management platform, these networks have been unified with the KORE redundant data centers, so that KORE customers can maintain full control of M2M devices and network usage. “Adding EE’s 2G, 3G and market-leading 4G LTE networks will allow our customers to better capture new, revenue-generating opportunities in M2M,” said Alex Brisbourne, president and COO, KORE. 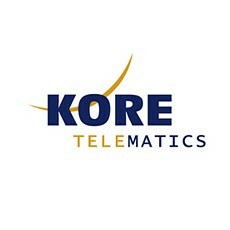 While KORE Global Connect customers already have built-in access to Tier 1, in-country cellular connectivity in more than 180 countries, as well as low-Earth satellite services enabling 100 percent global coverage pole-to-pole, the addition of EE strengthens service in key growth markets across Europe, Africa and the Middle East as well as 2G services in North America.